This treadmill is where your digital life meets your workout experience. The third generation of touch screen consoles redefines the workout experience with the most advanced technology. The 10" integrated LCD touch screen features an abundance of entertainment options, enhanced interaction, internet connectivity and much more. Choose the SI-TV console for integrated tv. Everything about the next generation Elevation Series Treadmill from the DX3™ Belt and Deck System and FlexDeck® technology to the sophisticated design and open sightlines to the Activity Zone that places the most-used controls at the user's finger tips, is designed to the deliver the ultimate cardio experience with the long-lasting durability you've come to know from Life Fitness. With four colors to choose from, Elevation Series has the style options to complement your facility. 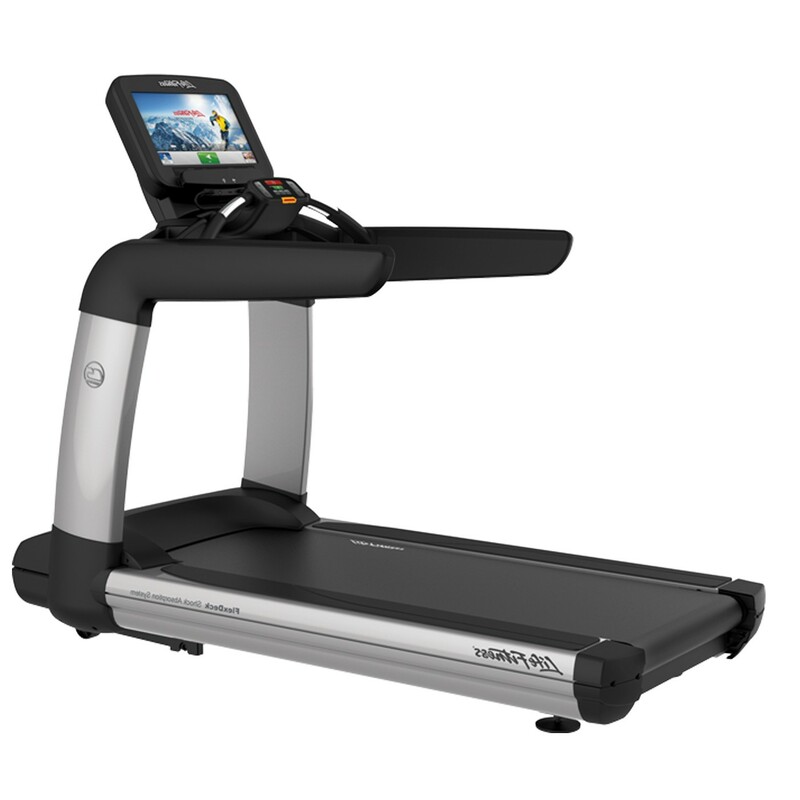 When your facility demands unparalleled quality, durability and innovation the New Elevation Treadmill is the only choice. Our patented FlexDeck™ Shock Absorption System reduces knee and joint stress by up to 30 percent more than running on non-cushioned surfaces. Exercisers can set their own workout pace with 2, 4 or 6 mph (3, 6 or 9 kph) start for a walk, jog or run.